Join us for our First Friday Fall Open House on November 2nd. Enjoy delicious local beverages, tasty bites, and unique handcrafted goods. 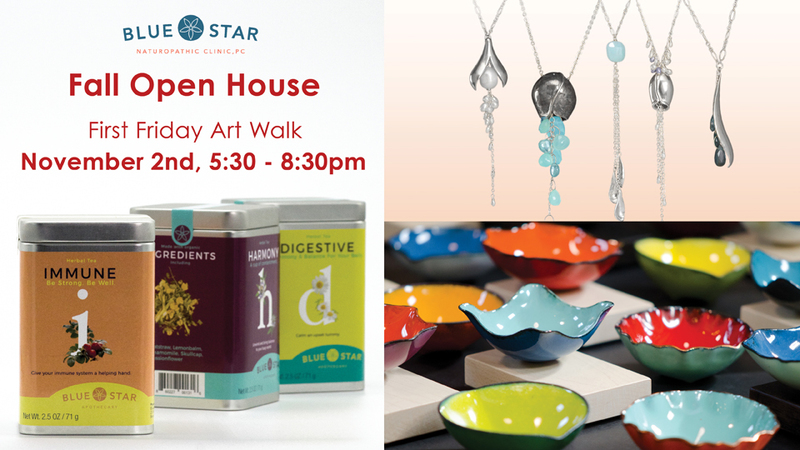 Also featuring sculpture and jewelry from CG, table linens from Orlando Stitchery, and organic teas from Blue Star Apothecary.